the Book of Mormon is profane. And offensive. And (still) funny as hell. But that’s about what you’d expect—or should expect, anyway—from the brains of Trey Parker and Matt Stone of South Park fame, who teamed up with Robert Lopez, co-writer of Avenue Q, for this demented, big-hearted musical that set records at the Eugene O’Neill Theatre when it opened on Broadway in 2011. It went on to win nine Tony Awards. The story follows Elder Kevin Price, “the smartest, best, most-deserving” missionary and Elder Arnold “I am a follower” Cunningham—a pair as mismatched as lobster and melted chocolate. They’re thrust together as partners on a service mission to Uganda to spread the word of Jesus Christ in general and the Mormon church in particular. Elder Price has dreams of doing something so incredible “it’ll blow God’s freaking mind,” and Elder Cunningham, who has a little problem with making things up, is just excited to have a best friend. The fact that neither they—nor their fellow Mormon missionaries—know anything about Africa, Uganda, or the needs of the villagers they encounter is beside the point. They’re spreading the gospels. They’re going to baptize those natives, gosh darn it. Meanwhile, the Ugandans have seen this movie before. Here come those white people again, telling them they need to believe in some far-away thing that has nothing to do with how they survive the day-to-day hardships. The Book of Mormon, in our era of hypersensitivity, cashes in on virtually every stereotype imaginable, from the over-eager, toothpaste-commercial smiles of the Mormons, to the AIDS-ravaged Ugandans, to Africa being solely the land of The Lion King. If you desire a kindly exploration of faith and belief and three-dimensional treatments of characters, this probably (nay, definitely) is not your show. On the other hand, if you’re cool with lyrics like “I believe in 1978, God changed his mind about black people” and “I have maggots in my scrotum,” carry on. In fact, if you fall somewhere between those extremes, it’s likely all good. 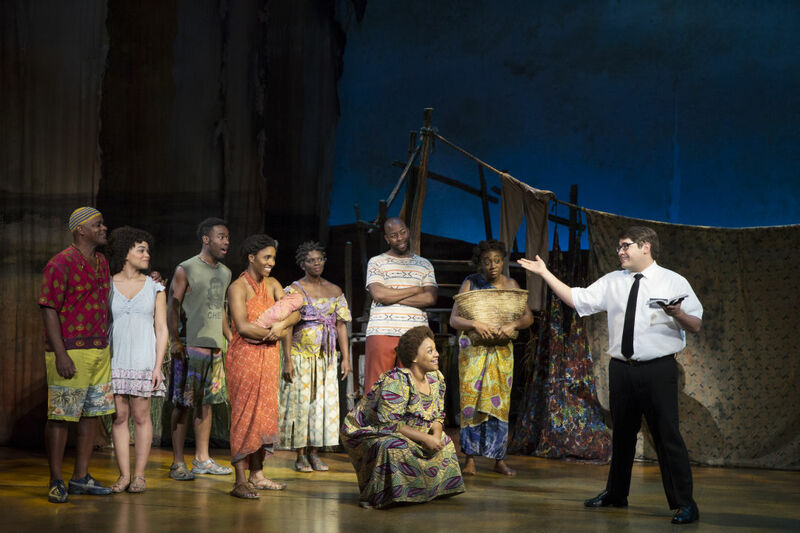 The Book of Mormon has a buoyant, infectious score, with bouncy, cheeky lyrics courtesy of the Parker-Lopez-Stone trio, nearly every number borrowing heavily from themes of other beloved musical theatre numbers. “Ya Got Trouble” from The Music Man? You’ll see shades of it in “All-American Prophet,” possibly the most toe-tapping depiction of the Mormon faith ever committed to paper. “I Have Confidence” from The Sound of Music? Well represented in the prelude to “I Believe,” a bright, bang-up number in Act Two. “The Small House of Uncle Thomas” from The King and I? Turned entirely on its head in “Joseph Smith American Moses,” a giddy, curse-laden explanation of the Mormon founder’s trials and tribulations, as understood by the Ugandans, thanks to some off-kilter teaching by Elder Cunningham. That’s not to say the show is unoriginal. It’s a dizzy, deranged delight of a piece, happily skewering everything in its wake, even as its ultimate message is one of discovering what it means to have faith in yourself, in God, and in those around you. The delivery system is often scatological, but the message is sincere: Learn from each other, love each other, be decent to each other. The relatively young cast gets high marks for its energy. 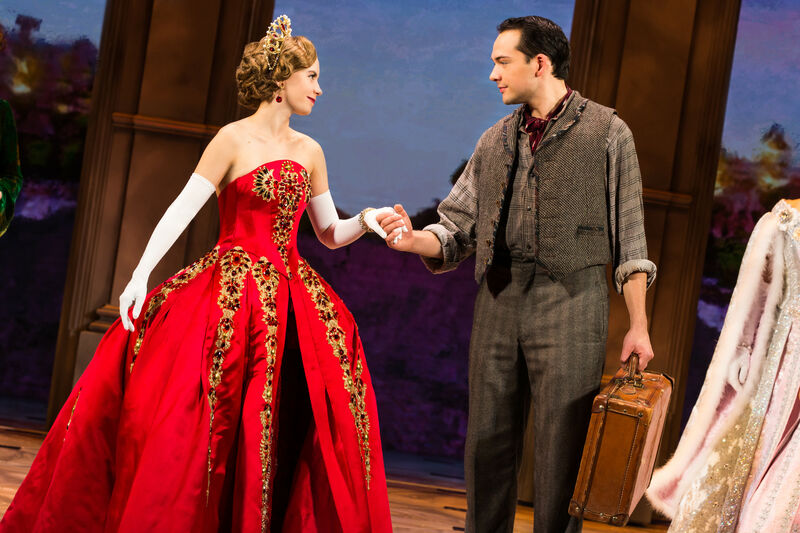 Liam Tobin was the standby for Elder Price on Broadway, and he’s taken over the role here on tour, with a solid voice and an almost endearing dickishness. His Elder Price is the hero in his own story, and his over-the-top ego leaves chaos in its wake. As his “sidekick” Elder Cunningham, Jacob Ben-Shmuel (the standby who played the role on press night) is a geeky, socially awkward weirdo with impressive comedic timing—a great foil to Elder Price’s endless confidence. Thrust into the spotlight, his character needs to find his own way forward, and his missteps and wild leaps of imagination create their own special chaos, with sometimes unintended consequences. As a pair, they play well off each other, and as both settle more into their roles, their chemistry should improve and make for an even better double act. 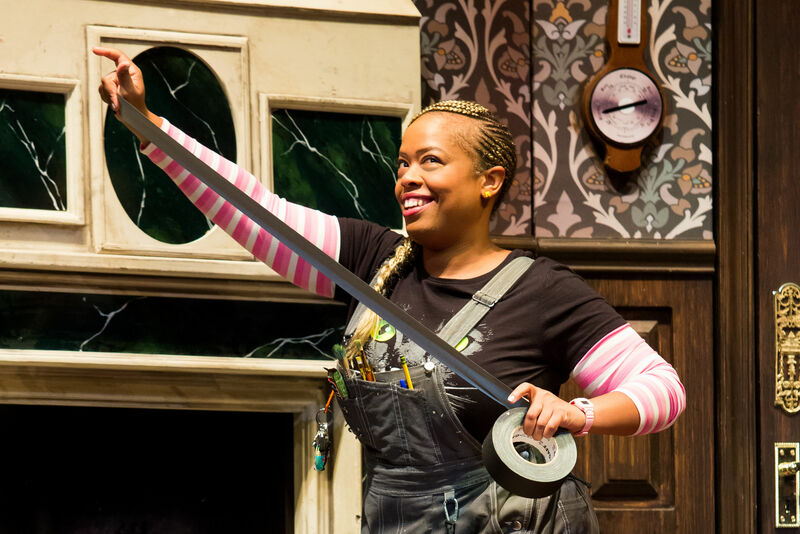 Kayla Pecchioni, as Nabulungi, the young woman of the village who is the first to hear the message Price and Cunningham are sharing, has a great big voice and plays her character with sweet, sassy sincerity. She become an integral heart to the show, and her duet with Ben-Shmuel, “Baptize Me,” is sly and subversive. As Elder McKinley, Andy Huntington Jones is a scene-stealer. Where the show suffers, though, is in its sheer lack of an orchestra. The original Broadway production had a nine-member pit playing nearly two dozen instruments. The tour uses a six-member orchestra on five instruments, with programmed augmentation. These tunes demand a much larger backdrop. 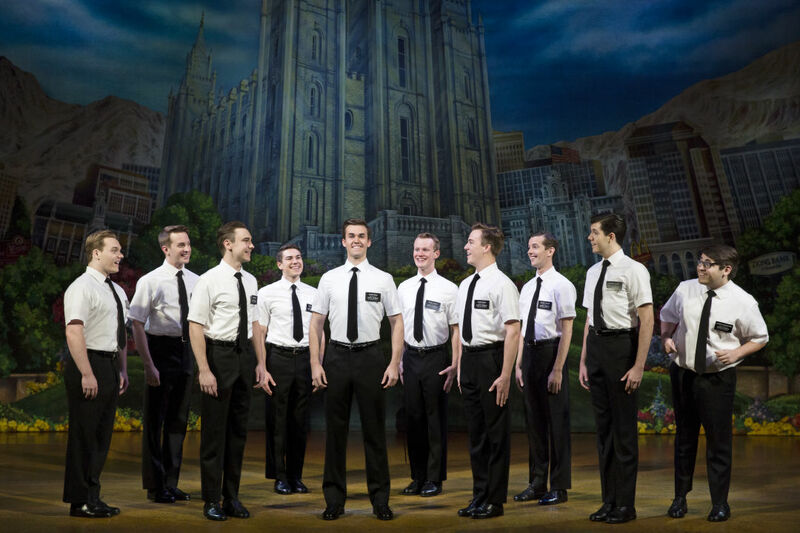 When The Book of Mormon bothers to stop for breath, it opens a window to its real warm-heartedness. 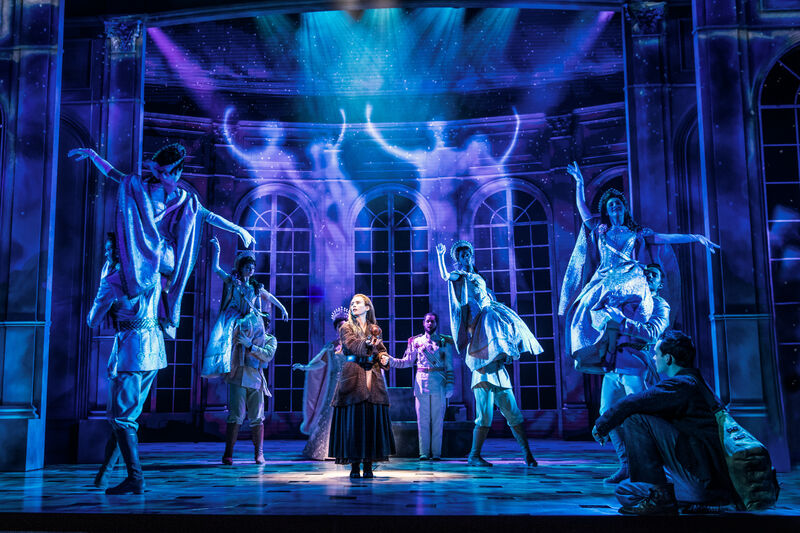 The trouble for some will be that it doesn’t do that very often, careening as it does in its bull-in-a-china-shop way, running through toe-tapping melodies and bizarre scenes like Act Two’s “Spooky Mormon Hell Dream.” As long as you’re willing to strap in and go along for the ride, it’s hard to find a more fun evening of theater. But no joke: This is not a show for everyone. If you can’t handle the idea of Jesus Christ “manning up” to be crucified, if female circumcision as the basis for humor will set your teeth on edge, if you find a reference to a guy waiting in line at the Apple Store while his sister lays dying offensive, stay home and save your money. If your sense of humor is thick-skinned and irreverent, you’ll do just fine. Thru Jan. 20. Tickets from $40. Hobby Center, 800 Bagby St. 800-952-6560. 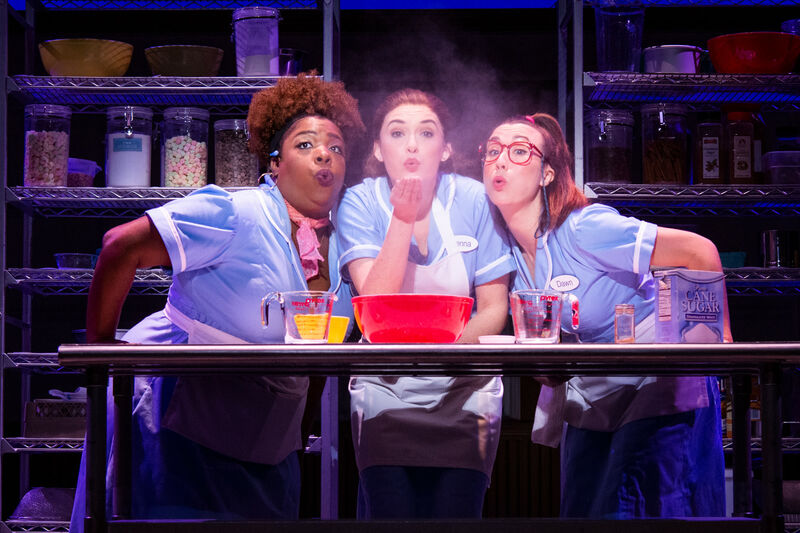 More info and tickets at houston.broadway.com.